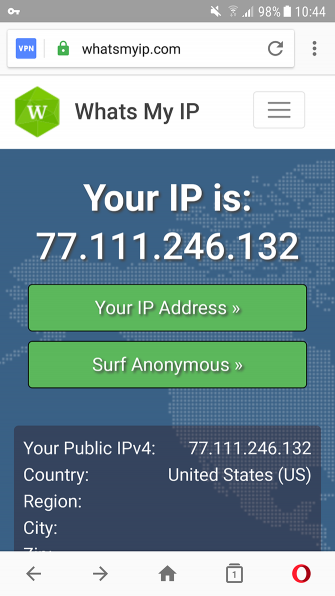 If you’ve been looking for a safe, free VPN to use on your Android device then you’re in luck. Opera recently added a free VPN service to their web browser for Android. Here’s how to use Opera’s free VPN so you can browse the internet safely and privately. What’s the Problem With Free VPNs? In general, you should be suspicious of free VPN services. As tempting as it may be to save some cash, these services often make money in dubious ways. Some free VPN services have usage caps, so you can use them for a little bit but then they’ll charge you money if you go over a set limit. This is annoying but not unethical. The really worrying free VPNs are the ones which claim to keep you safe but actually misuse your data. For example, Hola used to be a popular free browser extension which let you access content from other regions. But a few years ago, it came out that the service was actually acting as a botnet. The company was selling off access to its users’ devices to all sorts of disreputable companies. Users found their devices were being used in cyber attacks like Direct Denial of Service attacks without them even being aware of it. Another example of a dodgy free VPN service was Facebook’s Onavo app. The app was promoted as a secure VPN, but it actually funneled all of its users’ data to Facebook. Facebook could see exactly which websites users visited and which apps they used. 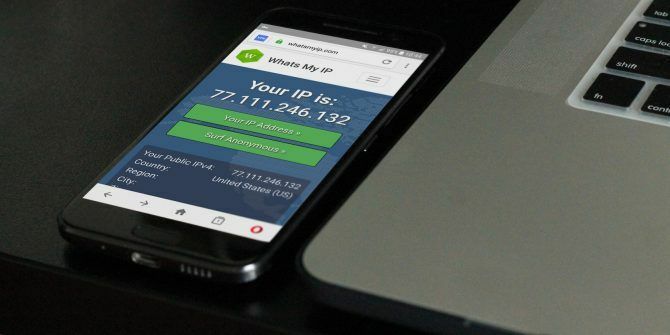 Overall, there are many reasons not to use a free VPN 5 Reasons You Need to Stop Using Free VPNs Right Now 5 Reasons You Need to Stop Using Free VPNs Right Now Free VPNs are very tempting, but hold on. If you're thinking of signing up to one, you should read this article first. Here are the biggest risks with using a free VPN service. Read More . 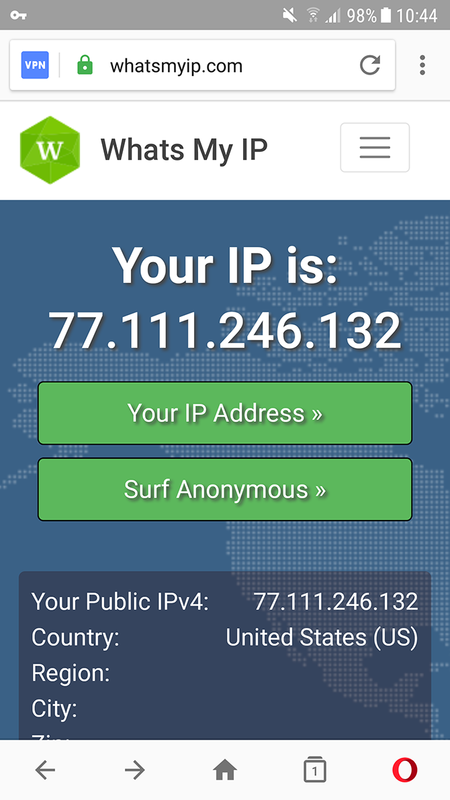 With all that said, there is now an option for a safe and free VPN for Android. Opera is a well-established web browser that has experimented with free VPN services in the past. The latest version of their Android app which can you download from the Google Play Store, includes a free VPN. Unlike other free VPNs which are offered by third party companies who want to sell your data to make money, Opera’s VPN is a way of promoting the browser. Their aim is to use the VPN service to attract users, not to make money from it directly. The features of the Opera VPN are basic, but cover all of the essentials. 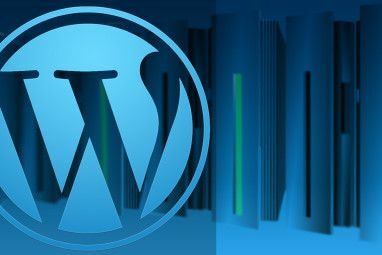 It offers no web traffic logging, no bandwidth cap or usage limits, and strong 256-bit encryption. You can also use the VPN for region spoofing, although this function is pretty bare bones. Using Opera’s VPN service is very easy. First you need to download the Opera browser beta for Android from the Play Store. 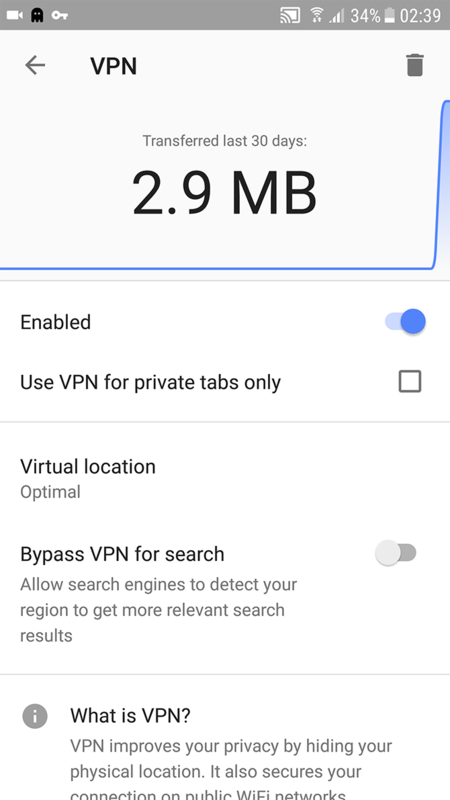 If you don’t like the idea of installing beta software on your device then you can wait until version 51 of the browser is released which will include the VPN feature. Once it’s installed, open up Opera and you can use it just like any other browser. But first, we’ll turn on the VPN service. To do this, click on the red O in the bottom right corner to bring up the Opera menu. Then select Settings. In the settings menu you’ll see a toggle for VPN. Make sure this toggle is set to Enabled. 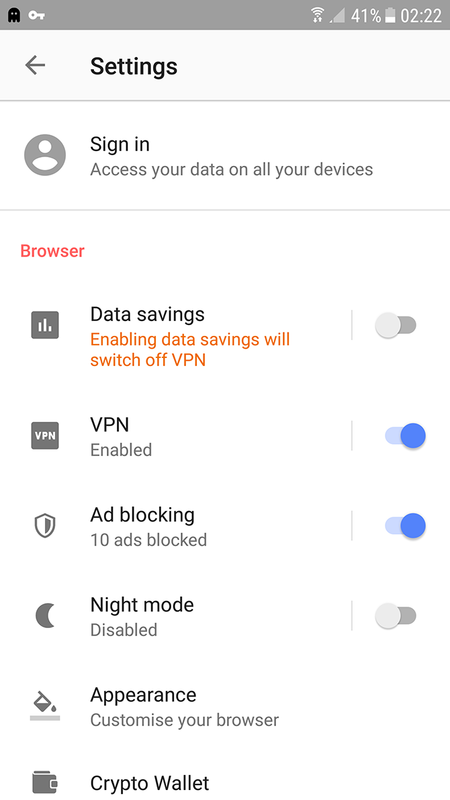 By default, the VPN is only active when you browse in private mode. But we want to have it active all the time for the best security, so long press on the VPN option to bring up the VPN menu. Here you’ll see a checkbox for Use VPN for private tabs only. Make sure this checkbox is unchecked. Now the VPN is active whenever you use the browser. If you visit a webpage, you’ll see a blue square saying VPN in the top left, next to the address bar. If you want to adjust the VPN settings at any time or to turn it off, tap the blue square. This brings up a menu where you can see how much data you have transferred over the last 30 days and options to turn the VPN off or go to the VPN settings. Another handy feature of a VPN is that you can use it for region spoofing. This is where your browser makes it appear as if you are based in a different location from your real-world location. For example, you can make it appear as if you are in the US when you’re actually in Europe. This is helpful if you need to access a site which is only available in the US. If you go to the VPN settings menu and then tap on Virtual location, you can choose from Optimal, America, Asia, or Europe. Just tap on America and your browser will access websites as if you were in the US. 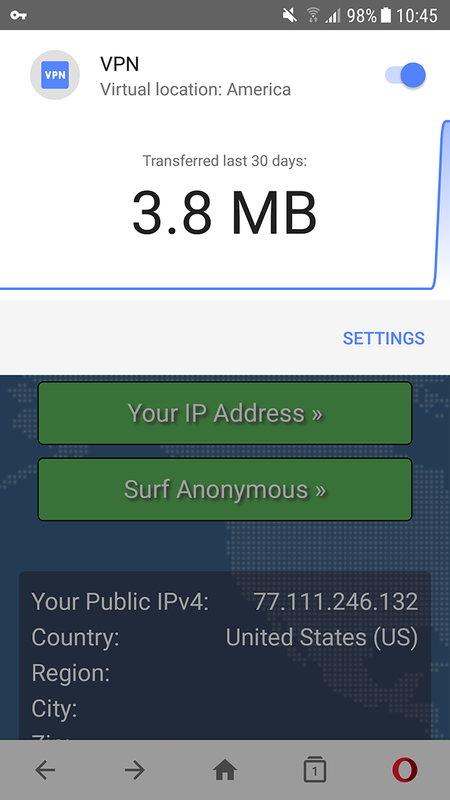 If you want to confirm that the VPN is working, you can visit a site like whatsmyip.com which will show you your public IP and say which country you appear to be browsing from. There are some potential drawbacks to Opera’s VPN that you should be aware of. 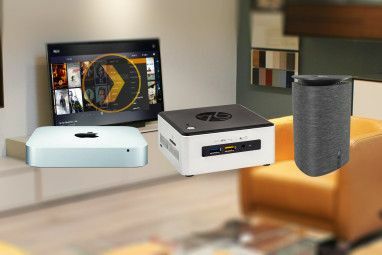 Firstly, although the VPN does cover all the basic requirements, it does lack extra features like country-specific region spoofing, choosing which server you want to connect to, and a kill switch. Secondly, Opera Limited, the company that develops the Opera browser, is based in Norway. However, this company is owned by a number of Chinese companies. Some people raise the issue of the Chinese government’s oversight of Chinese companies, and they worry that this could affect the VPN’s privacy in the future. Finally, according to Opera’s privacy statement, the VPN does not log any information about your browsing activities or your real IP address. This is good, as no logging is one of the most important factors to consider when choosing a VPN provider How to Choose a VPN Provider: 5 Tips to Keep in Mind How to Choose a VPN Provider: 5 Tips to Keep in Mind Thinking about choosing a VPN but don't know where to start? Here's what you need to check before signing up to a VPN service. Read More . But the browser does assign users a random ID and collects information about your device and your use of features under this ID. This information can’t be linked to you personally but it is collected by the company. If you need a VPN and you don’t want to spend any money, Opera’s free VPN service is a great solution. It isn’t as full-featured as other VPNs, and if you are really serious about your security then you may want to look into the best paid VPN services The Best VPN Services The Best VPN Services We've compiled a list of what we consider to be the best Virtual Private Network (VPN) service providers, grouped by premium, free, and torrent-friendly. Read More instead, such as ExpressVPN. But using Opera’s browser with VPN enabled will improve your security for no charge, and that makes it a winner in our book. Explore more about: Opera Browser, VPN. Mozilla Launches a Free Password Manager for AndroidIs It Safe to Use Face ID on Your New iPhone?